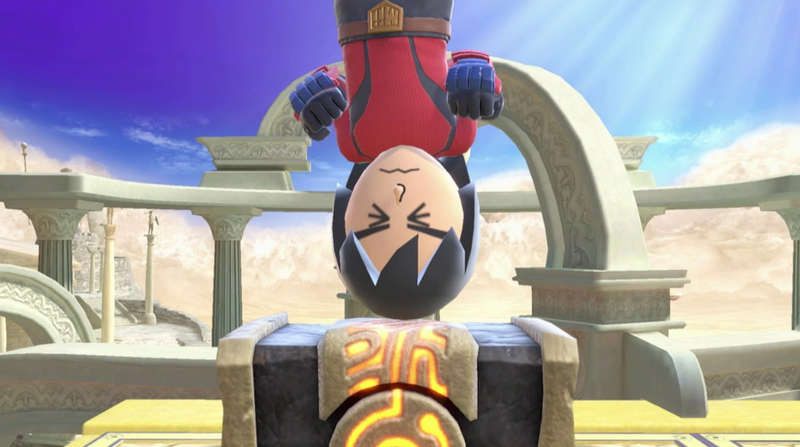 One of the strangest fighters in the Smash Bros series is Mii Fighter. It comes in three different versions: Gunner, Brawler and Swordfighter. They’re all back for Super Smash Bros Ultimate, and have gone through a number of subtle tweaks since their last appearance. In this Super Smash Bros Ultimate Mii Fighter Guide, we’ll detail these changes, and also provide some info on the Mii Fighter’s Final Smash and Alternate Costumes. We’ll also take a look at the Xenoblade outfit for the Mii Swordfighter. 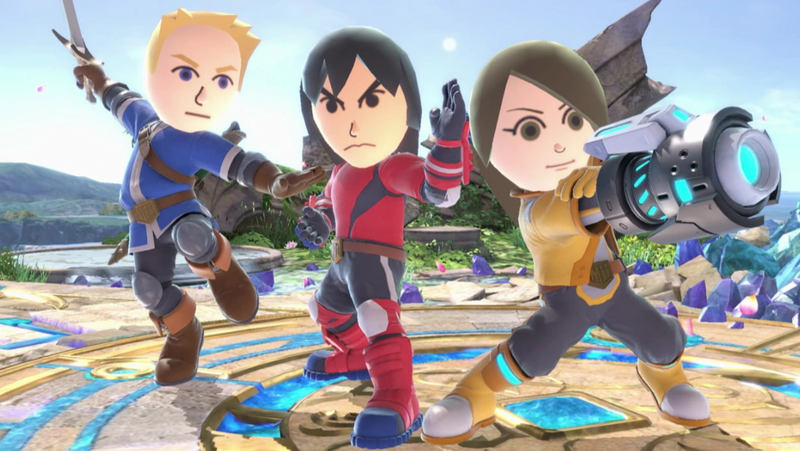 Given that Mii Fighter is essentially three separate characters, there’s a fair bit to wrap your head around. 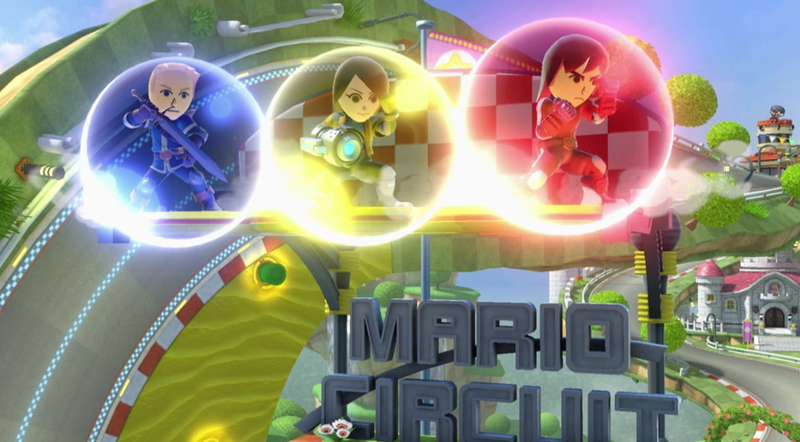 There have been a number of changes to each, including the way that players can customize their Mii Fighters. We’ve included all of the key info below. As proof that Super Smash Bros. 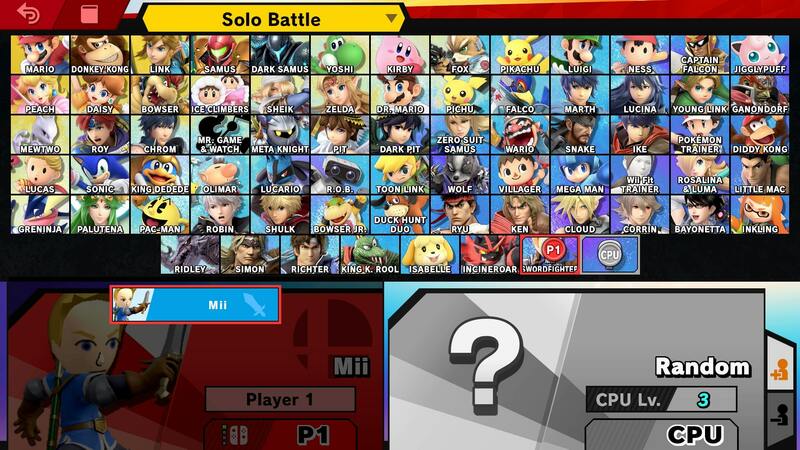 Ultimate has included every character since the dawn of time, you can play as a Mii. In the table just below, you’ll find a complete list of all the moves that the Wii Fighter can use. Down aerial has a new animation. Blurring Blade does fire damage and features a flame effect. There have been even more changes to the Mii Gunner for Super Smash Bros Ultimate. We’ve listed all of the ones we’ve noticed below. Charge Blast can be charged in the air. Lunar Launch has more range. Down aerial is quicker to start. Jumpsquat animation has been shortened. Final Smash has been tweaked slightly, more on that later. Feint Jump can now meteor smash opponents. Omega Blitz is the Final Smash that Mii Brawler uses in Super Smash Bros Ultimate. It is slightly different this time around, in that Mii Brawler stands in place while executing the move. There are no new Xenoblade characters in Super Smash Bros Ultimate. To lessen the blow a little, Nintendo is offering a Xenoblade 2 outfit for Mii Swordfighter. To get it, you have to pick up the Fighter Pass. This is the DLC Season Pass being offered alongside the game. That’s everything we know about Mii Fighter in Super Smash Bros Ultimate. We’ll be adding more info as we get it, but in the meantime you can head over to our Super Smash Bros Ultimate Guides Hub for more info on the game.